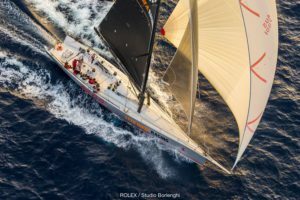 Well, although it was the Rolex Sydney to Hobart race, the weather and conditions we experienced made me question where we were in the world. We had warm downwind conditions and finished in 2 days 1 hour 53 minutes and 15 seconds. 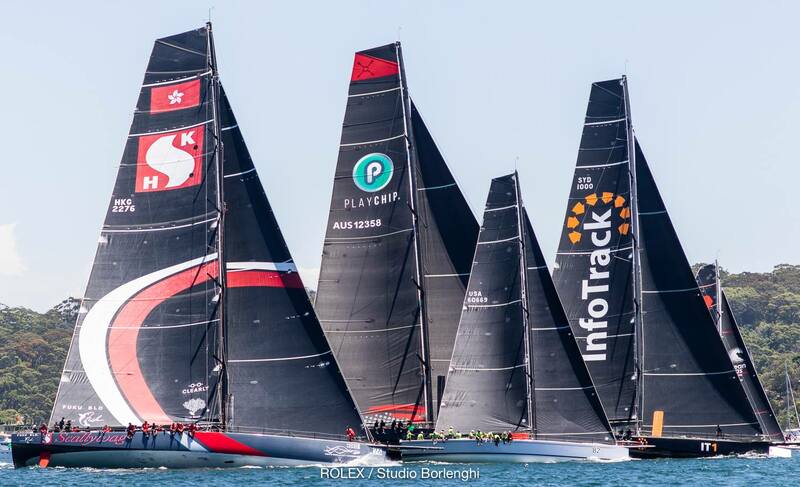 Crossing the line in sixth place and finishing second overall on IRC. Not a bad job by Ocean Respect Racing! We had glorious conditions on Boxing Day as we left Sydney Harbour. Light and fickle winds made the harbour section challenging but once clear of the heads we were off, with the spinnaker up and making great progress to Hobart. The sun shone, the wind increased along with the waves and it was champagne sailing. The night was sailing under the spotlight of the moon in a warm north easterly breeze. The second day we called in for our obligatory safety check to confirm we were happy to cross Bass Strait. Normally a complex and hazardous stretch of water squeezing the Southern Ocean between the Mainland of Australia and the island of Tasmania, on this occasion we had flat calm seas with a decreasing breeze that was extremely pleasant on deck. However, the coast of Tasmania on our second night at sea was a challenge as we sailed in thick fog for four hours becoming quite disorientated. Our navigator, Libby, did a great job getting us down the track and going the right way. We had been sailing in sight of four or five boats since we left Sydney and finally, as we exited the fog, we found that we had given all bar one of them the slip. It seemed that yacht Alive, our sister ship, was joined to us by bungee. There was a constant switching of places between us as we battled with them right to the end. 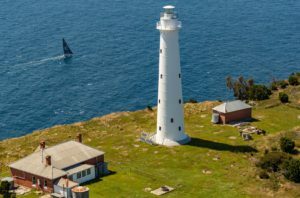 As we rounded the corner of Tasmania making our way across Storm Bay, we were ahead but a bad unfurl and sail change cost us dearly and they took advantage. That, and the fact that we had blown out our ideal spinnaker for the conditions, meant that we were left in the wake of Alive as we crossed the finish line on a gloriously sunny day in Hobart up the Derwent River. The crowds cheered our arrival and we were met on the dock by supporters and sponsors as champions. Our big brother Wild Oats XI had claimed line hours just a few hours earlier and were there to congratulate us on a job well done. Champagne, beers and sustainably caught fish and chips from Mures Tasmania, greeted us at the dockside while we basked in the glory of a job well done. Stacey Jackson had a vision. To put a team of accomplished sailors together to do the great race. 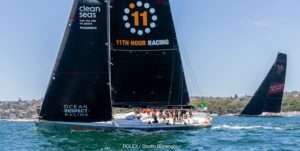 This vision was supported by the Oatley Family with the donation of the boat and by 11th Hour Racing as a sponsor to promote Ocean Health through yacht racing. 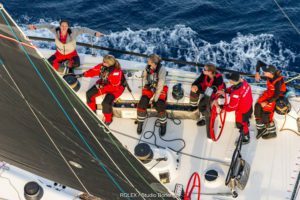 The team, Ocean Respect Racing, just happened to be female sailors and as a result are an inspiration to future generations of female sailors. We practised what we preached regarding reducing the use of single use plastics and promoting ocean health and growing people’s awareness of the issues. Most importantly to us though, we raced hard and achieved 6th place on line honours and 2nd place overall on corrected time. I had a fantastic time, with an awesome team on a great boat in unusually good sailing conditions. Back next year for the 75th edition? I hope so, my fingers are crossed that we can go one better and get that first place on IRC. Stacey Jackson will collect the Jane Tate Memorial Trophy as the first female skipper but we would love to add the George Adams Tattersall Trophy to the collection next year! Previous Happy holidays to one and all!